Y! 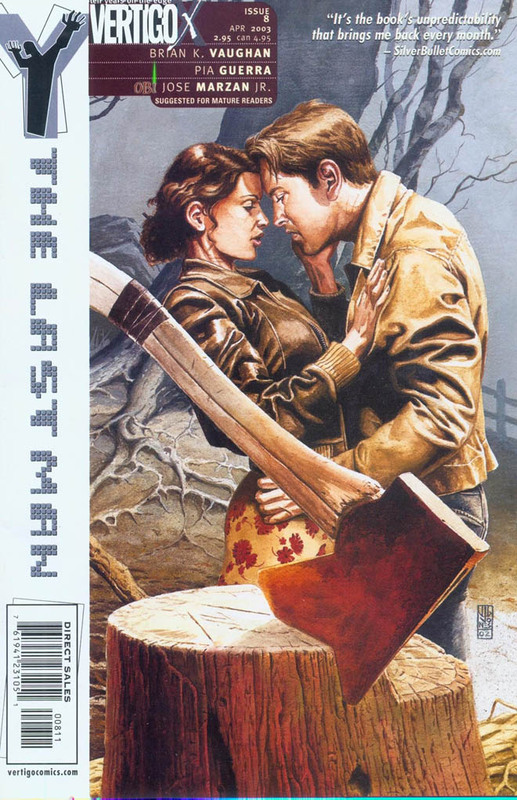 The Last Man is one of my favorite comics and it looks the director of an interesting short movie on YouTube is going to direct it. Dan Trachtenberg pulled in 11.5 million views with his moody seven-minute fan film Portal: No Escape, based on the popular puzzle platforming game by Valve, a project that has spring boarded the new director to much bigger things: He’s now been tapped by New Line Cinema to direct the long-gestating movie adaptation of graphic novel Y: The Last Man for his first feature film. The long-running Vertigo comic book series by brainy sci-fi writer Brian K. Vaughan pictures a future in which a plague kills nearly all males. Escape artist Yorick Brown and his monkey Ampersand survive as the only creatures left with Y chromosomes, forced to navigate their way through post-apocalyptic gender politics.